A new report claims that Apple is planning to "terminate" iTunes Store downloads in favor of Apple Music streaming. UPDATE—May 12, 2016: Apple denied this rumor in a statement to Re/code’s Peter Kafka: “Not true.” The original rumor is below. Annual iTunes song downloads are projected to hit almost $600 million in sales in 2019. But that figure may not be big enough to keep Apple in the music-selling business. Apple wants to phase out the sale of music downloads via the iTunes Store in two years, according to a new report by Digital Music News. 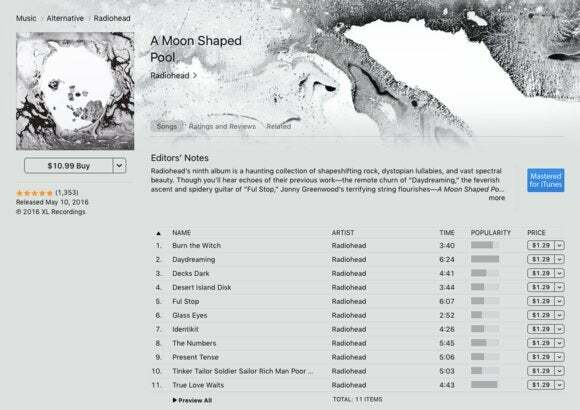 With the continued decline of music downloads, Apple is foreseeing that iTunes sales will eventually sink to zero. So the company is reportedly abandoning that ship to devote more resources to Apple Music and the growing streaming market. Digital Music News’ unnamed sources also revealed that Apple might also choose to ride the sinking ship for the next three to four years, but that it’s more likely to “terminate” downloads entirely by 2018. Mark Mulligan, a music industry analyst at Canadian Music Week, told Digital Music News that music downloads still generate a lot of money. He projected that they would generate upwards of $600 million in 2019. Mulligan also estimates, however, that by 2020 revenue from Apple Music subscriptions will have surpassed iTunes Store sales even at their peak. “By 2020 [Apple’s] download business would be tracking to be 10 times smaller than streaming revenue but, crucially, streaming revenue would nearly have reached the 2012 iTunes Store download revenue peak. 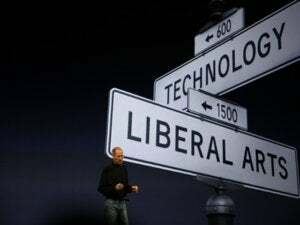 This is the point at which Apple would choose to turn off the iTunes Store,” Mulligan said. He also estimated that Apple Music will have reached 20 million subscribers by the end of 2016. Tim Cook revealed during a conference call last month that Apple Music had racked up 13 million subscribers. Why this matters: We don’t think Apple is getting ready to exit the music downloads business in two years. Not just because iTunes Store sales still generate a nice chunk of change for the company, but because music downloads can actually fill gaps in Apple Music’s catalog. Yes, this integration is a little messy, but it’s something that no other music streaming service can offer. While some albums are not always available on certain streaming services, practically every song ever released commercially can be purchased on iTunes and synced with the rest of your Apple Music library. Furthermore, even though major labels may be in favor of terminating downloads and focusing entirely on streaming, indie artists still make a lot of money from the iTunes Store. They may be vocal opponents of this transition, and decide to holdout of streaming with Apple all together if downloads are not part of the equation. And we all remember who won that fight the last time.